Here's where we'll post kudos to each member of the Farmgirl Sisterhood who's earned Merit Badges. Remember, if you submit a photo with your Merit Badge application, your creation will be displayed here for other chatroom members to see. Lorie Quinn has received a certificate of achievement in Stitching & Crafting for earning a beginner level Quilting badge! "I made a small quilt from 5 fat quarters. It turned out great." Heather has received a certificate of achievement in Stitching & Crafting for earning a beginner level Aprons badge! 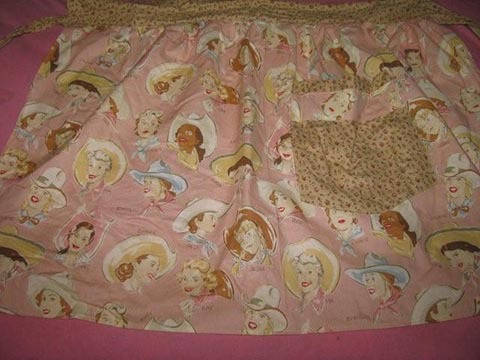 "I made the apron from McCall's pattern #3979 view A. I used a cowgirl print fabric for the apron and a coordinating flower fabric for the pocket. I wear it in the kitchen while cooking and baking, and also while cleaning, because the pocket comes in handy for things that need to go to a different room. It took 2 1/2 hours to finish and turned out really well. My three-year-old son proclaimed, "Ooohh, mama pretty!"" Heather has received another certificate of achievement in Stitching & Crafting for earning an intermediate level Aprons badge! 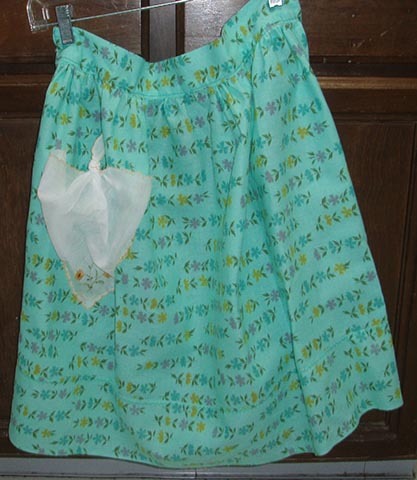 "I made this apron from Simplicity pattern #4987 view 5. 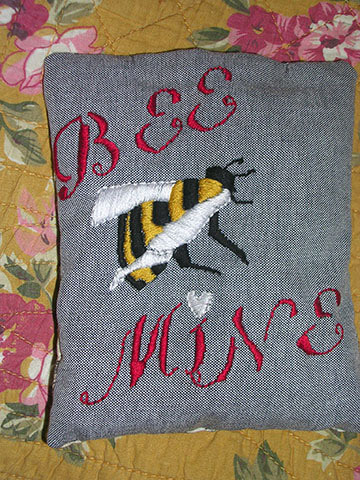 I used the Bees and Clover fabric of the Bees Without Borders chosen fabric for my chapter apron. There is gathering at the waist and some darts for the ties. In addition to the 2 pockets on the skirt, I added a pocket to the bib. I used bias tape around the skirt and ribbon around the bib. I added some embellishments: yoyos, buttons, and yarn daisies. I wore an apron to one of my best friend's houses (my mom) to decorate my sons' birthday cakes and while bottle feeding my baby goat so I wouldn't get dirty before the party! It took 4 1/2 hours to finish and looks so awesome." Jenny Pipes has received a certificate of achievement in Stitching & Crafting for earning an intermediate level Homespun Christmas badge! "I made at least 50% of the gifts I gave this year and also of our ornaments. I did several lap quilts, dress up kits, dish cloths, homemade soap, cookie mixes, and quilted table runners. Also plates of candy, cookies and cheeseballs for neighbor gifts. I made aprons and embroidered pillows and quillows and a hooked rug too. I was really pleased with how it all turned out. 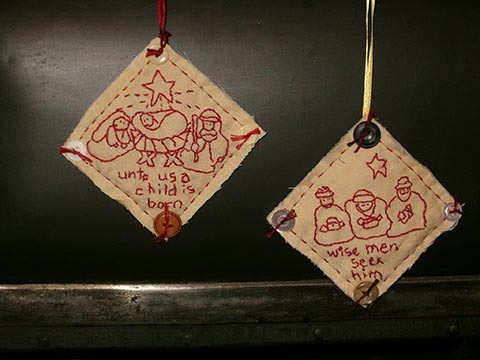 I am attaching a picture of my embroidered ornaments for this year. They had old vintage quilt pieces on the back. " Jenny Pipes has received a certificate of achievement in Stitching & Crafting for earning an intermediate level Quilting badge! 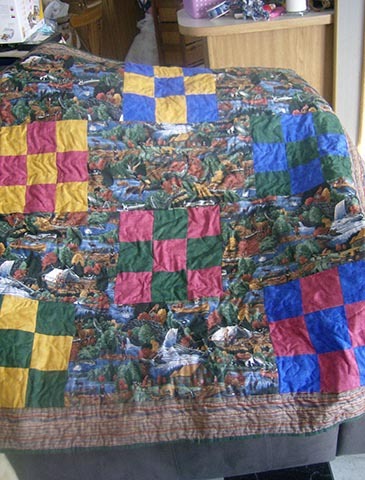 "I have been quilting for a long time. I did a few new quilts at Christmas time. 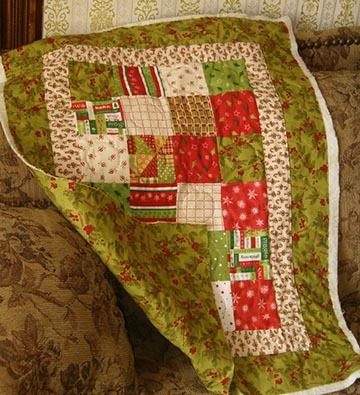 A simple patchwork lap quilt, 2 throw size Christmas quilts and a table runner. I hand-quilted most of them. The recipients loved the quilts. I was especially happy with the simple Christmas quilt for my oldest son's new fiancee. That is the picture I will attach. I am working on something much more complicated now for my expert level. I have done hard ones before, but it is fun to do a new one. 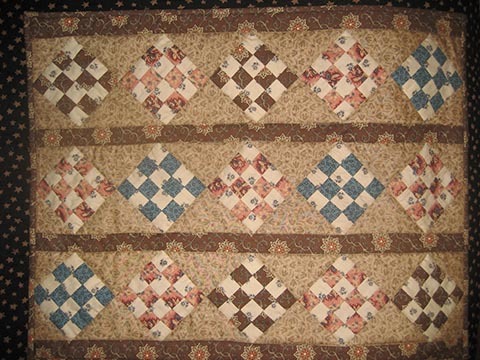 I am working on an Underground Railroad sampler quilt and I will be hand-quilting it. I may not finish it for quite awhile..but I will be proud of that accomplishment for sure!" Jenny Pipes has received a certificate of achievement in Each Other for earning an EXPERT level Community Service badge! "I am PTA President at our local elementary school this year. I have volunteered 190 hours so far this school year, as staff support (in lunchroom, bookmobile, eye screenings, DARE program support, RIF and fitness programs) as well as reading tutor, serving on the community council, and fundraising to earn money to pay for crosswalk signs for the three crossings near the school (those big A shaped plastic signs that say Children crossing). I am also a room mother this year and lend my support in any class that needs help. 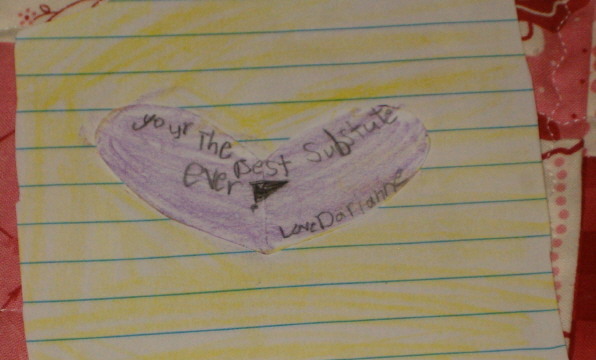 I love children and feel like I will better know that my own kids are getting a good education if I am THERE. I AM there..nearly every day for something or other and I feel like I make a difference. I love it. I have been keeping a Community Service Journal and plan, after the school year is over, to continue to volunteer, both at the Elementary school and the public library." Jenny Pipes has received a certificate of achievement in Stitching & Crafting for earning an EXPERT level Knitting badge! I knitted another pair of socks in January as a gift for my mom too. They have all turned out well. I like to knit alot. I forgot to take a picture of the socks before I sent them off on their way." Jenny Pipes has received a certificate of achievement in Each Other for earning a beginner level Farmgirl Gratitude badge! "I have been keeping a gratitude journal daily for the past 6 weeks. I use an adorable little journal with handmade pages that was given to me by another farmgirl (sleepless reader Sharon) I have really learned so much about gratitude doing this. I am very very blessed in my life. I have noticed that I am appreciating little things more, and have even been attracted to reading books that are more along those lines..such as Mitch Albom's "For One More Day" and Tuesdays with Morrie..both so inspiring. LOVED this!! I am working on the next levels..this is a great category!!" Jenny Pipes has received a certificate of achievement in Garden Gate for earning an EXPERT level Backyard Farmer badge! "I have my own chicken flock..both laying hens and meat chickens. We don't buy eggs at all, and I barter my extra eggs for other products I don't raise myself,and take it to people in need. My hens are a mixed flock of banties...a real little rainbow. I keep a rooster and try to raise most of our own chicks, rarely ordering new ones from the hatchery. I have my own milk cow and before her had milk goats. I teach anyone who will come to the barn how to milk. We make our own butter, mozzarella and ricotta cheese and I have taught others how to do it in mini-classes in my kitchen. My sheep (I only have two right now) are a primitive breed (Icelandic) and I have also had Navajo Churro and Jacob, which are endangered breeds and have breed them true to breed to help maintain them. We buy our beef from a local butcher, who raises his own, and we raise our own chicken. We also eat Elk and Venison that are local. 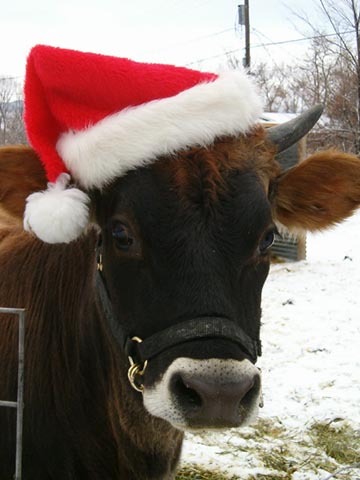 I don't show my animals at the fair (the kids plan to show rabbits and a lamb this coming summer though) but I have made holiday cards with my cow Mona as the cover.. I didn't know what to put for date started on this one..so I put October. I hope that is okay.I plan to never be finished really...but put today's date." Jenny Pipes has received a certificate of achievement in Stitching & Crafting for earning a beginner level Embroidery badge! 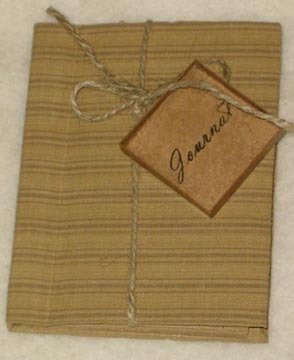 "I embroidered tea towels, pinkeepers and sachets..quite a few, as well as Christmas ornaments. I reviewed all my stitches and was happy with how I do them. 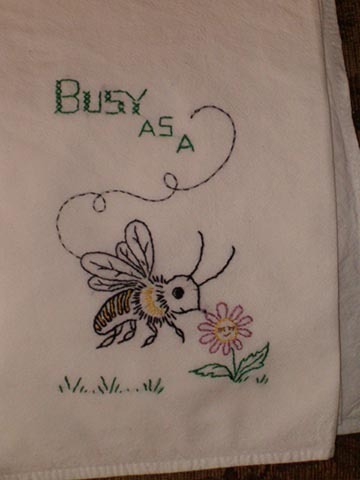 (I have been embroidering since I was 7). 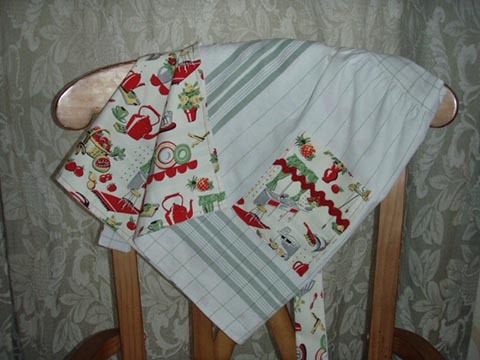 I love how my latest tea towels and clothespin holders have turned out." Lorie Quinn has received a certificate of achievement in Stitching & Crafting for earning a beginner level Knitting badge! "I took a beg. knitting class. It was great. I told myself for years that I could never learn but I did it. I made a scarf of course. It is all the knit stitch. It turned out just great. All my stitches were nice and even. My teacher says I have great dexterity." Lorie Quinn has received a certificate of achievement in Stitching & Crafting for earning a beginner level Homespun Christmas badge! 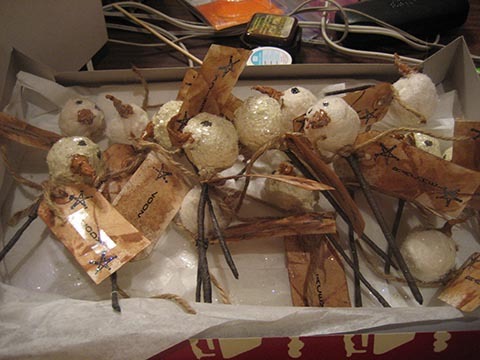 "I made gifts and ornaments for friends and family for Christmas. They turned out great and of course they were appreciated." Sherone Taylor has received a certificate of achievement in Each Other for earning an EXPERT level Community Service badge! "I served as the Secretary for Angels Among Us, Inc., a local organization that coordinates the angel tree program at Christmas time. Over 200 children received a plentiful Christmas. I was in charge of taking meeting minutes, all correspondence, public relations, and publicity. I coordinated all deliveries and volunteers. I spent over 100 hours delivering, wrapping and shopping for gifts. This program was a great success. We started it last year and served 122 kids. This year, we served over 200. Personally, I was struggling with Christmas. My daughter had left home for college and I was feeling empty-nested. This allowed me to have contact with other children, help families that really needed it, and to develop new friendships with fellow volunteers. I can't wait til next year!" Alee Reid has received a certificate of achievement in Stitching & Crafting for earning a beginner level Tatting badge! "I used MaryJane's Stitching Room book to teach me how to tat. I learned the basic double stitch, the picot, how to make rings and chains. I really love my tatting. I think it turned out great! Some of the chains originally were a little bit twisty as I was getting confused about reversing work, but now I am a pro at it and each chain looks the same." Jonni Lynch has received a certificate of achievement in Stitching & Crafting for earning a beginner level Embroidery badge! He LOVED it! He said, "you made this????" "Yes", "REALLY?" "Yep"...."I love you!!!! ", so...I think it turned out well :)"
Heather has received a certificate of achievement in Stitching & Crafting for earning a beginner level Quilting badge! "I made this quilt for my dad for Christmas. I found the outdoorsy fabric and designed this lap quilt around it, choosing solids in coordinating colors. I had made only one quilt previously, so I am still very much a novice, but I learned by trial and error how to put the layers together and quilt it. Christmas Eve day found me feverishly sewing on the binding, getting it done just in time! It took about 4 hours to complete. My dad loved it- he had tears in his eyes! It went awesome with his outdoors-themed family room. It will definitely be a treasured heirloom for years to come." Vicki Meeds has received a certificate of achievement in Stitching & Crafting for earning a beginner level Aprons badge! 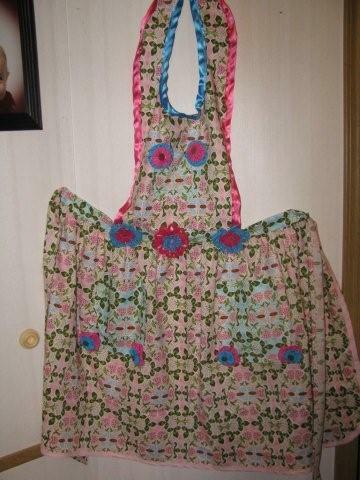 "My apron was made with a vintage pattern and flour sack. I added a handkerchief pocket. I think it turned out very nice - nice enough to really wear! Whenever I put an apron on my son wants to know what I'm making. I guess the apron is a sign that I'm actually cooking!" Vicki Meeds has received a certificate of achievement in Stitching & Crafting for earning a beginner level Embroidery badge! 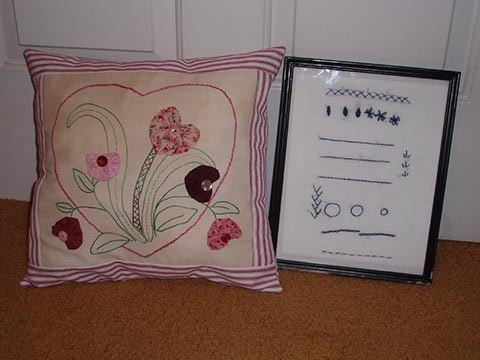 "I found the heart sampler and thought it was very pretty. 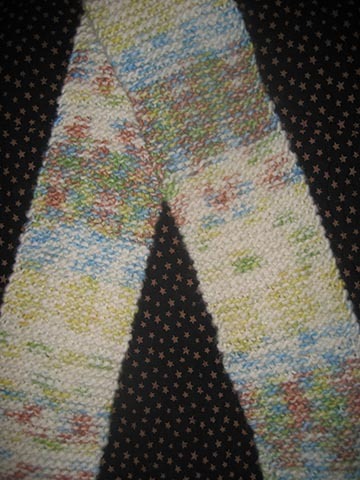 It had several different stitches (a couple I'd never done). I also made a regular sampler using navy blue floss because it's my favorite color. This also includes some stitches I've never used. I enjoyed doing both of these projects. They both turned out wonderful! The sampler is framed and hanging in my sewing room. The heart sampler is a pillow and has resided on my sofa during February for Valentine's Day. Now it will find a home on my bed." Theresa Babylon has received a certificate of achievement in Stitching & Crafting for earning a beginner level Aprons badge! "I made my first reversible half apron. I didn't have a pattern, however, I did browse around a few online tutorials. I learned a lot about what NOT to do and what steps are essential. My old buddy, the seam ripper, and I, became reacquainted. :) I used that adorable 50's Kitchen fabric and the other side came from a re-purposed old tablecloth. De-Lovely!" Theresa Babylon has received a certificate of achievement in Stitching & Crafting for earning a beginner level Crochet badge! "I did already know basically HOW to crochet, but being self-taught there have been a lot of gaps in my knowledge. Using The Stitching Room, I went back and learned the names of the stitches (amazing how helpful this is when one wants to use a pattern!) and polished up my skills a bit. I made a lovely pinkeep from a scrap of fabric and polyfil, crocheted a bit to cover it. Really fun! Also, my mother-in-law, who is a knitter, asked for some quick crochet lessons after seeing my pinkeep! De-Lovely!" Julie Kohl has received a certificate of achievement in Stitching & Crafting for earning a beginner level Crochet badge! "I have always known how to crochet a basic chain and I taught myself to go beyond that. Using the MJF "Stitching Room" book as a guideline I was able to complete a dishcloth from a pattern I found on the internet. I used the SC, DC, slip stitch and picot for my dishcloth. I also taught my entire 8th grade art class (22 students) how to make a basic crochet chain. They each made a necklace and gave it to a friend. I am really proud of my dishcloth. I am giving it to another MJF member (queenofdreams) as part of a crochet dishcloth swap. I hope she enjoys it!" Tammy Claxton has received a certificate of achievement in Stitching & Crafting for earning a beginner level Buttoned Up badge! "I have collected over 200 buttons so far. I've taken them off of torn-up clothing and even acquired a tin from my hubby's grandmother! Now I have 2 jelly jars full of small, medium, and large buttons. I use them for embellishments on my tote bags and for my purses. Now I'm going to use them for my next project..a button bracelet!!" Kim Oakes has received a certificate of achievement in Stitching & Crafting for earning a beginner level knitting badge! 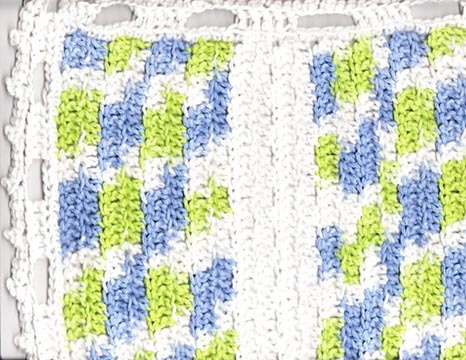 "I knitted a lovely 'basketweave stitch' dishcloth that I gave away in a swap we had. I loved it." Kim Oakes has received a certificate of achievement in Stitching & Crafting for earning a beginner level Crochet badge! 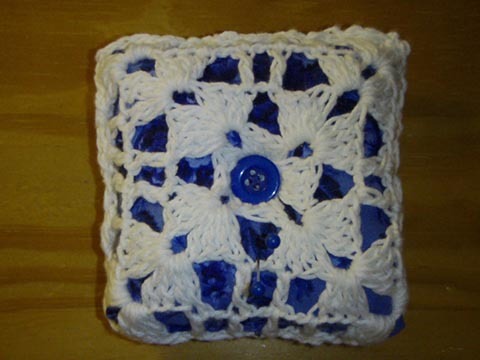 "I crocheted a beginner level dishcloth for a swap we had and sent them to forum member, 'levisgrammy'. She loved them!" Jen & Savannah Harrison have just received a certificate of achievement in Stitching & Crafting for earning a beginner level Buttoned Up badge! "My daughter and farmerette Savannah and I have been collecting buttons from all over the house. Some were part of my mother's collection, some were purchased for specific projects or children's clothing, some were the "extras" on the inside of shirts, some were from old shirts and skirts. We collected our buttons into old "Smuckers" jelly jars with a gingham lid."